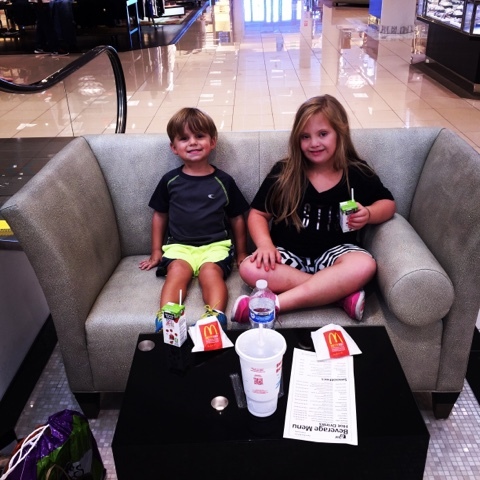 Finished up Labor Day weekend with some shopping at the mall, but first we were a little hungry so dad created a McDonald's picnic in Nordstrom for us! 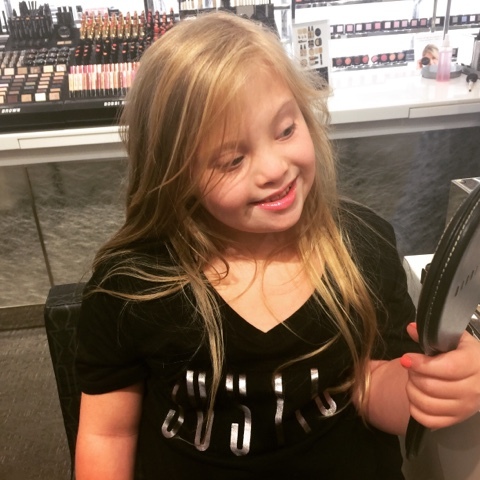 After a quick snack I was off to my favorite place - the make up counter! I love trying on everything especially lip gloss!